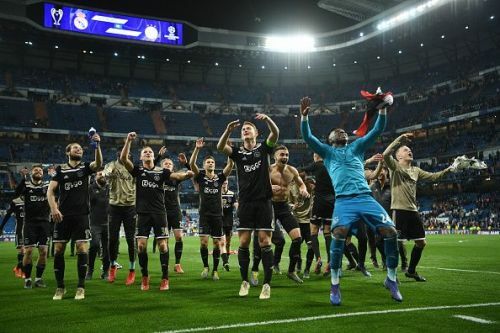 It was a spectacularly disastrous night for the defending champions as Dutch giants Ajax steamrolled past the 13-time winners to progress to the quarter-finals on a 5-3 aggregate lead. This result means Ajax have progressed from a knockout tie of the Champions League for the first time since the 1996-97 season when they beat Atletico, only to be knocked out by Juve in the semis. The game started brightly for Madrid, with the holders looking to crush Ajax's hopes early on, and Varane came incredibly close to doing just that but his header in the 6th minute struck the woodwork and lead to an Ajax counter that would amount to the first goal scored by Hakim Ziyech, who was set up brilliantly by Man of the Match Dusan Tadic, who made absolute fools out of the defending champions' defence at their own home. Things just kept on getting worse for Madrid as the former Southampton player absolutely destroyed Madrid's midfield and defensive lines with an exquisite Cryuff turn and set up David Neres, and the Brazilian chipped over Courtois, whose technique and positioning for that goal was iffy, at best. Ramos who was banned from the match was clearly missed. Madrid lost Lucas Vasquez and Vinicius Jr. in a span of fewer than 10 minutes before the halftime whistle. While Gareth Bale and Marco Asensio tried their best to get back in the game, they were unsuccessful. The latter eventually scored Madrid's first home goal in over 4 hours of football in all competitions. Ajax, who had a goal ruled out by VAR last time the sides met, were allowed to score a controversial goal, as the ball clearly went out of play before the ball reached Van der Beek, who set up Tadic for Ajax's third goal of the night. Just a minute after Asensio scored, Ajax midfielder Lasse Schone curled in a truly spectacular effort from an improbable angle, although Courtois was again caught napping when the ball was played in. Here are some observations from the game. Replacing Zizou and create Ronaldo's 60 goals a season with current players was always going to be a more than tedious task. The Argentine manager lost two El Clasico hosted at the Bernebau in the space of four days, and their Champions League performance was absolutely shambolic in every sense of the word as Real imploded and were outclassed by Ajax. The previous manager, Julen Lopetegui, failed in his job too before he was sacked from his role. Under Solari, Madrid have had only the progress of youngsters such as Reguilon and Vinicius as glaring positives in what has been a bitterly disappointing season for Madrid. The senior players are not living up to their reputation and it looks like Madrid will end the season empty-handed. They are a far cry from the La Liga title race and have been knocked out of Copa del Rey. There is little left to play for Solari. 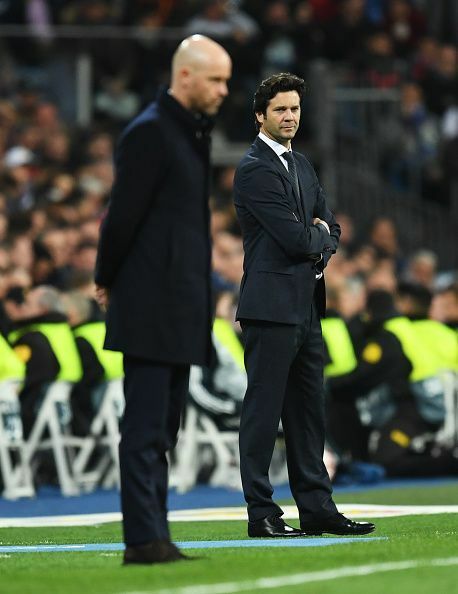 Perhaps, the board will look to appoint a new coach like Pochettino or re-appoint Jose Mourinho.